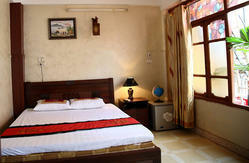 HANOI LIBERTY HOSTEL is a cozy and friendly place intended to make your stay in Hanoi comfortable. Located right in the heart of the French Old Quarter. Hanoi Liberty Hostel is ideally located for many of Hanoi's most significant cultural, historical and religious sites: Hoan Kiem Lake and the Ngoc Son Temple,The world-famous Water Puppet Theatre,The Ho Chi Minh Mausoleum,Temple of Literature,St Joseph's Church and Shopping at the Dong Xuan and Hang Da local markets. 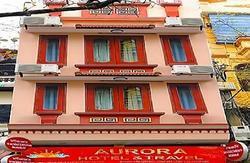 HANOI LIBERTY HOSTEL offers you much more than a hostels. All the rooms in the hostel has wooden floors with big windows and are equipped with IDD telephone, air-conditioning, cable TV, refrigerator, DVD Playeer comfortable bathroom bath and hot shower, hair-dryer,coffee and tea making facilities, ADSL Internet.Top- service Come to HANOI LIBERTY HOSTEL .We are determined to provide our valued guests with the best possible service and facilities, you will be very satisfied with our outstanding service and experienced and enthusiastic staff. 2. Discount 15% for Sapa tours and Halong bay tours. 3. The above rates are included 5% Service charge and 10% VAT, daily breakfast FREE internet access for 24 hours, Free Tea/Coffee making facilities in room.